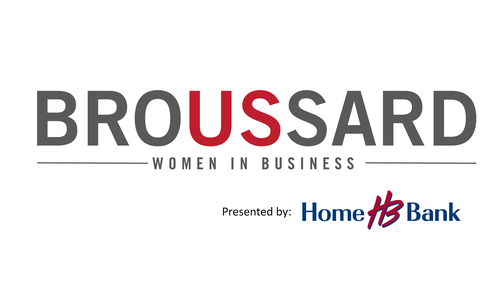 If you came to a BroUSsard Women in Business event last year, you know what to expect - something different. Our success in 2018 has put a little pressure on for this year, and we are ready. 2019 will be all about Professional Courage - stepping up, stepping out, stepping around and sometimes quickstepping. We listened to what you had to say last year, and we are now are offering more engagement, more chances to grow, and more surprises. This isn’t a sit down and half-listen kind of event. It’s a ‘wow, I’m now ready for my day in a whole new way’ and a ‘can we do this every morning?’ time to spend together in learning, growing and getting braver. Thanks to the generous support of Home Bank, we are offering you four opportunities to engage in 2019. You don't have to live or work in Broussard to join us from 8:30 am until 10:30 am at The Ballroom of Broussard for breakfast, mingling and more! Space is limited, so reserve your seat today!